Rosie Strange is happy in her job investigating Benefit Fraud and is very good at it too; she has a knack for reading people and uncovering the truth. She is also the new owner of the Essex Witch Museum having inherited it from her Grandfather Septimus Strange. Rosie did not know her grandfather well; due to a fall out between him and her father Rosie had not seen Septimus for many years before his death. With no attachment to the Museum Rosie takes a week off with the intention of getting the place valued and up for sale. Fate, the museum and its handsome assistant curator, Sam Stone, have different ideas however and Rosie is soon drawn into taking on an investigative commission to track down a 16th century Essex witch’s mortal remains. The investigation takes Rosie and Sam from Essex to Tintagel and back again via efficient solicitors, wealthy rock star widows, former Russian mafia henchmen, and exorcising priests amongst other detours! There does not appear to be a for sale sign on the horizon by the end of Rosie’s week off. 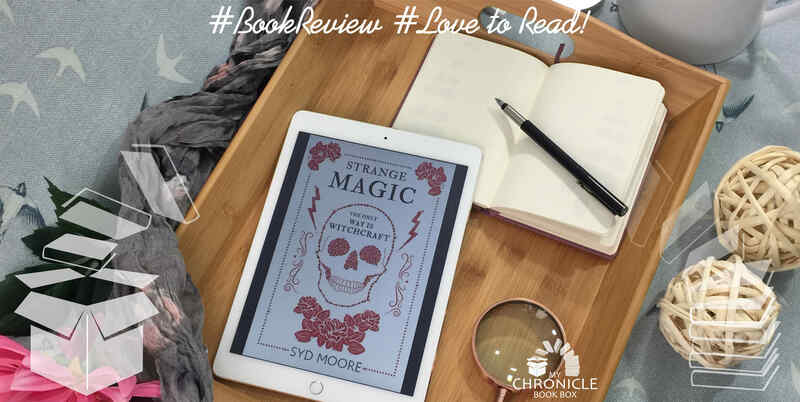 This is a fun cosy mystery with lots of great references to witches and Essex Girls and a great dose of scepticism from Rosie about the potential for the supernatural. Hints are dropped about Rosie’s potential abilities and Sam’s past and I am looking forward to finding out more about both in the next books. This is a great book for fans of cosy mysteries and sets the foundation for a series in which the supernatural may feature more heavily in future books but is merely suggested in this first novel. ← November 2017 Boxes Shipping Soon! !